Bright and fun coloured Dice earrings on Sterling silver wires. Choice of dice colour. Coloured Dice measure 16mm. White dice measure 14mm. Very Rockabilly. 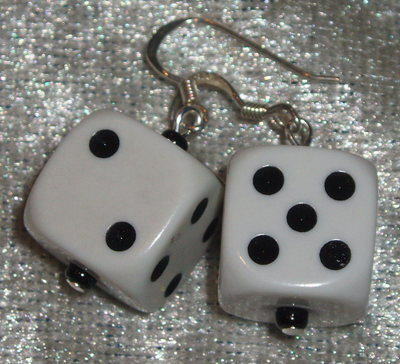 Real Dice from Las Vegas up-cycled to make fab earrings. Earrings match the Dice pendants.